I have to talk to Stalk & Have him pull and post important Eazy-E material first. 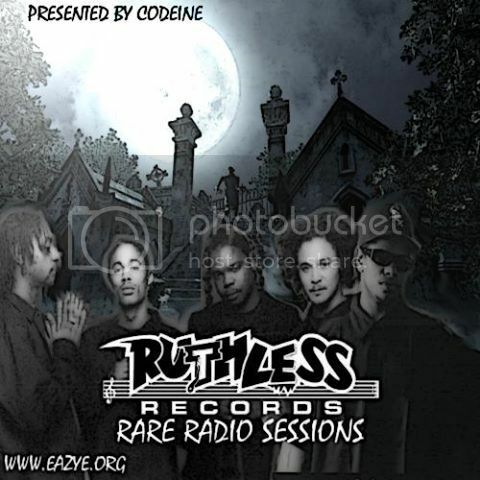 After that, we will release the entire Ruthless Radio Tape/CD Rips I Have. I recently came upon them. So just wait and see what Codeine & Stalk release to the site. Shout out to OG Rise (POE), Krayface (Starz), & SK for tagging it BTNHLEGACY. Just listened to it, can't wait for full release ! Thanks again ! I heard this earlier on BTNHLegacy but since I don't have an account there (yet) I wanted to say thanks for this here. ive heard that someone leaked the Rock the Bells foe tha love of money cocert version,is that true?